If you need jet washing for your home or office, we offer you our perfect jet washing service. It is perfect because we have been in the branch for years and have perfected our service so none of our clients will ever be disappointed in anything. We have the latest machinery and experienced professional cleaners who know their way around any type of pavements and pollution. We are a cleaning company available in Highbury that specialises in jet washing. 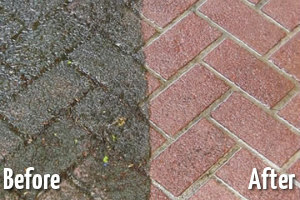 We will take care of your patio and driveway cleaning, exterior building cleaning. 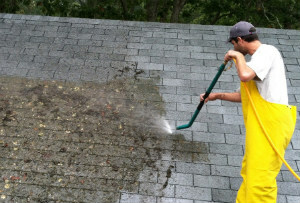 We use high pressure cleaning that does wonders with any kind of spots and filth caused by a variety of influences. Jet Washing £2.5 £2 sq.m. Patio Cleaning £2.5 £2 sq.m. Our team of professional cleaners will remove weeds and mould from your patio and driveway. They will clean you gutters, external walls, fence and patio furniture. We have perfected our methods over the years and can now guarantee only the best service to our clients. You may have tried to use high pressure cleaning with commercial machinery and undoubtedly you have realised that it cannot be done as good as a professional jet washing. Do not trouble yourself anymore, we are the perfect alternative. Our cleaners are professionals and are not afraid to tackle any problem. They work fast and efficiently and are detail-oriented. After they are done you will notice the change, because when pathways and patios get dirty over time from various influences it is hard to notice their colour has changed. But we promise you we will bring their original colour back. Pick up the phone and call us right now. For any additional questions and inquiries call our helpful assistants. 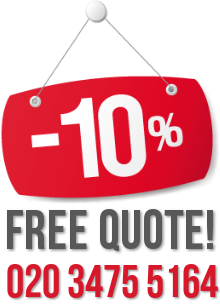 Book us now and we will send a team of cleaners to your home at any convenient for you time. Take advantage of our competitive prices for a high-quality, top notch jet washing service.